Rainwater from the 1,000-gallon container will be used in Burnley-Moran's garden. Students at Burnley-Moran Elementary School are learning firsthand about water conservation. 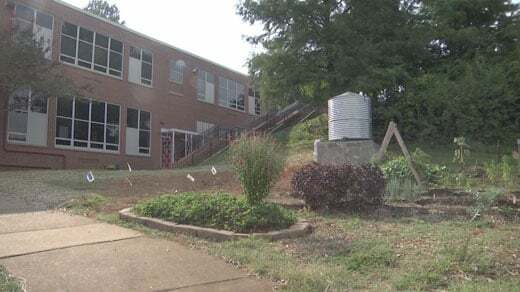 Charlottesville City Schools and the Public Works Department installed a 1,000-gallon rainwater harvesting system at the school. The rainwater stored will be used in the school's garden.